Note – This itinerary includes 2 nights in Victoria Falls with the option of either 4 nights Botswana (2 camp combination) or 6 nights Botswana (3 camp combination) – this option incorporates the main areas in Botswana – Savute region, Delta and Moremi. Depart OR Tambo Johannesburg Airport on your flight to either Victoria Falls Airport (Zimbabwe) or Livingstone Airport (Zambia). On arrival at the airport, you will be met by our representative and transferred to your hotel for overnight. Enjoy a late afternoon sunset cruise on the Zambezi River. The Zambezi River is the central figure in many of the activities offered in Vic Falls. The most renowned of these activities is, without a doubt, the pleasurable sundowner cruise. This activity includes transfers, drinks and snacks. There is something magical about relaxing on the water, sipping on a drink and waiting for the sun to set. This area provides for the most memorable sunsets and fantastic photographic opportunities. Game is often encountered on the cruises, including elephant and hippo. There are also breakfast & lunch cruises on offer. One cannot travel to Victoria Falls without going to see the Falls themselves up close. Taking a guided tour of the Falls will allow you to witness the power and splendour from close quarters. The guides will provide you with interesting facts about geography and history of the area. Half Day Elephant Back Safari – Operated on the privately owned Nakavango Estate about 10km from Victoria Falls. The estate is not fenced, allowing free movement of game from the National Park. Transfer time from Victoria Falls is approx. 15 minutes and the Elephant Co. collects from all major Victoria Falls lodges and hotels. Upon arrival, the guide will give an introductory talk on African elephants and their relationship with man. Following the talk (which includes safety), guests are introduced to the elephants and their “Indunas”. After a short familiarisation with the elephants, guests will begin their elephant back safari through the bush. Bottled water is available during the ride, which is approx. one and a half to two hours in duration. Overnight: The Victoria Falls Safari Lodge or The Victoria Falls Hotel (Zimbabwe) / David Livingstone Hotel & Spa or The Royal Livingstone Hotel (Zambia). Road transfer from Victoria Falls to Kasane Airport, where you will take a Light Aircraft transfer to your first camp in the Savute area in Botswana. Game drives in open 4×4 safari vehicles are conducted in the Savute area, including the Savute Marsh, and a visit to the ancient San rock paintings at Gubatsa Hills. You will most likely see nearly all the major species in the area, such as giraffe, elephant, zebra, impala, tsessebe, roan, sable, wildebeest, kudu, buffalo, waterbuck, warthog, eland, as well as predators; including lion, hyena, jackal, cheetah and possibly wild dog. The second biggest summer zebra migration in Africa can be seen at Savute. This starts around November / December when the rains fall through to March / April when they end – this is a sight not to be missed! Check out and road transfer to Kasane Airport, followed by a light Aircraft transfer to the Okavango Delta. Check in, followed by late afternoon activity – dinner at the lodge. The Okavango Delta, and the permanent Okavango Delta, form a unique ecosystem which is fascinating and rewarding to visit for the avid safari-goer. This area, with its combination of permanent water courses, massive floodplains and network of intriguing island networks is a safe haven to many animal and bird species. The summer season in Botswana welcomes a large variety of migrant birds from the Northern Hemisphere which use the Okavango Delta, as preferred areas for breeding and feeding. Moremi includes a diverse habitat that supports a wide variety of animals, with possible sightings of wild dog, cheetah and leopard being highlights. Resident species include lion, elephant, buffalo, hippo, giraffe, hyena, zebra, kudu, red lechwe, sable and roan antelope and many more. Birdwatching is excellent throughout the year, with powerboat visits to the heronries on Godikwe and Xakanaxa Lagoons a must, especially in the summer months. Track big game on morning and afternoon game drives by open 4×4 safari vehicle in the Moremi Wildlife Reserve, renowned for frequent sightings of lion, leopard & cheetah, as well as wild dog. Other game seen in the area are hyena, hippo and the full range of antelope, large and small, including the red lechwe. Alternatively, explore the Xakanaxa Lagoon and surrounding Okavango channels by motorboat, affording guests exceptional bird-watching opportunities, ranging from water birds to shy forest dwellers. Before returning to the lodge on your afternoon activity, enjoy sundowners with views of Botswana’s breathtaking sunsets. Game viewing is at its best in the dry season between July and October and for the keen ornithologist birding can be very rewarding, especially between November to April. The winter months of May to August can be very cold at night, but pleasantly warm, under clear blue skies, during the day. From October until the first rains fall from late November to early December, the weather can be tremendously hot, during both day and night. Optional extension – Add on a few nights in Cape Town, visiting this beautiful city with its mountains, winelands and beaches. 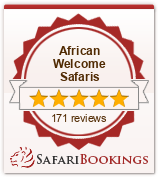 Our itineraries are “recommended itineraries” and may be booked as suggested. However, they also serve to inform you, as a possible first time traveller to Africa, an idea of what can be done. If you find that the recommended itineraries do not suit you entirely, we will tailor make a program to best meet your individual requirements.